You will cry a river of happy tears when you wear these sweet earrings! The loveliest etched bright silver teardrop hangs delicately from a surgical steel earwire. 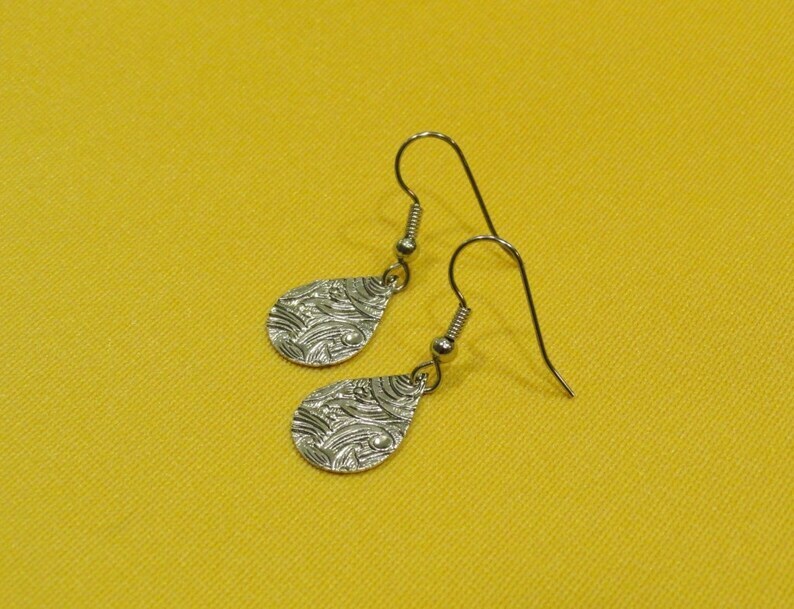 The etching is so swirly and whirly and varies in each piece so your pair will be quite unique. So incredibly lightweight you won't even know you are wearing earrings...until the compliments start rolling in! This lovely earring is just 1-1/4" long (from the top of the earwire) and is 1/2" across.